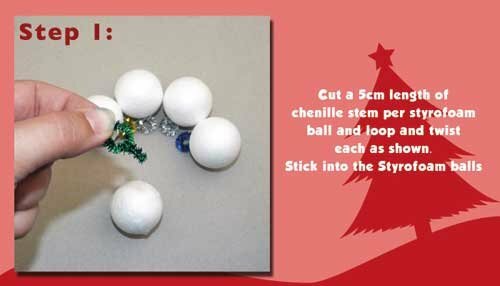 Cut a 5cm piece pipe cleaner for each Styrofoam ball, loop round your finger and twist as shown. 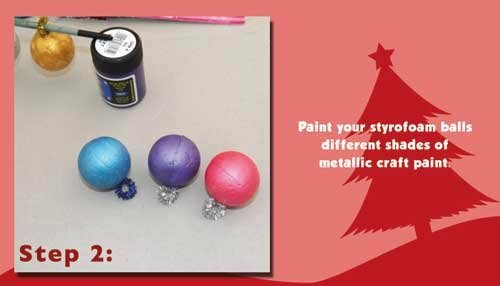 Stick these into your styrofoam balls. Paint your glitter balls with the assorted colours of metallic craft paint. 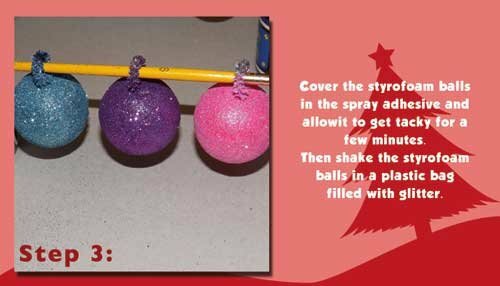 Spray the entire ball with spray glue. 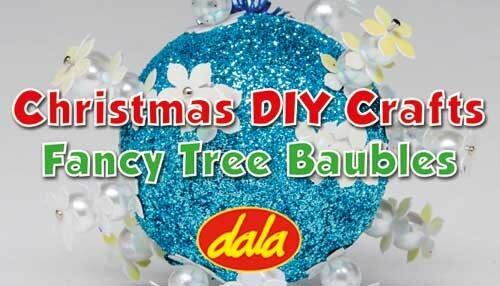 Leave it for a minute to get tacky. Place the same colour glitter into a plastic bag, drop the ball in and shake it well holding the top closed. 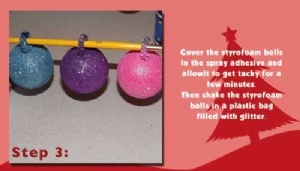 This will help to evenly cover the entire ball in glitter. 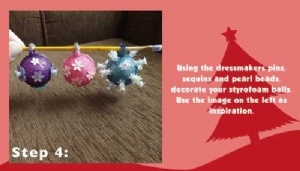 Now use your clothing pins, sequins and pearl beads to decorate your balls. 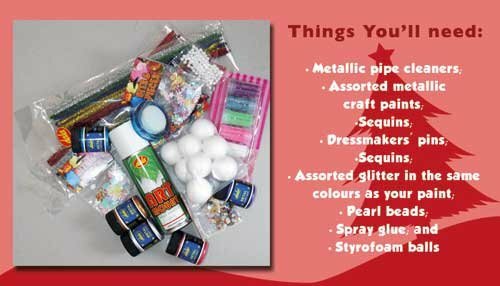 This item has 656 views.